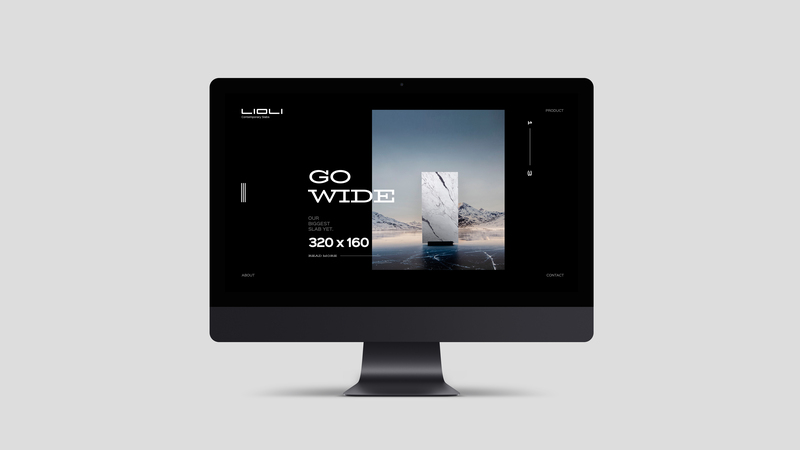 We directed a complete campaign for Lioli that approach all its brand elements, from the visual identity to the design of its exhibition stand for Cevisama 2019. 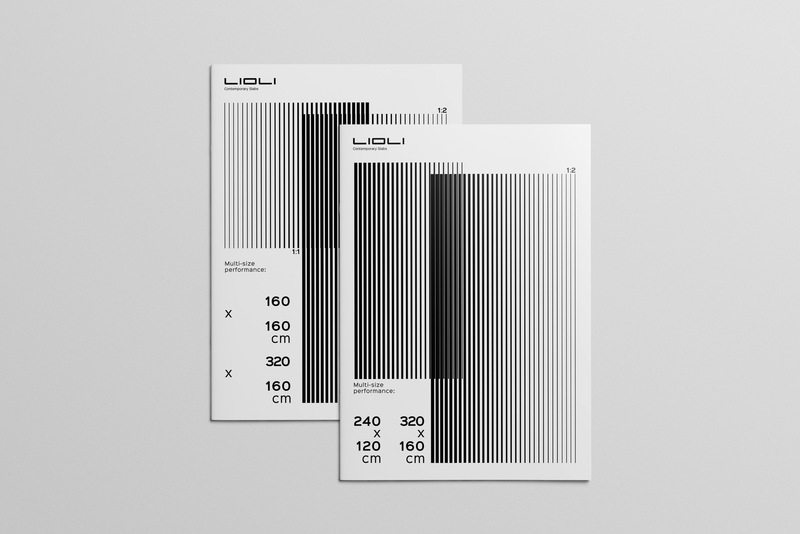 Through powerful concepts and a coherent graphic work, we achieved the set objectives: convey Lioli’s attributes and its potential as company with direct messages and strong visuals. 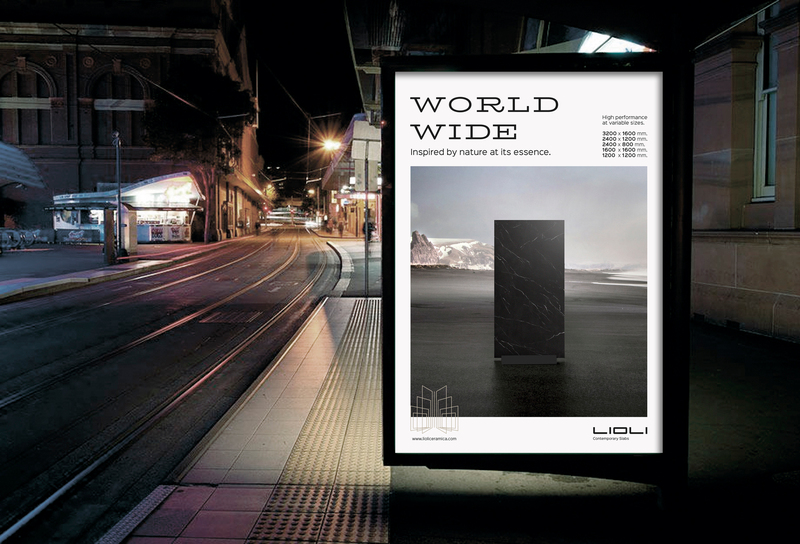 Lioli the big slabs manufacturer, present all over the world, approach us to renew their brand identity. 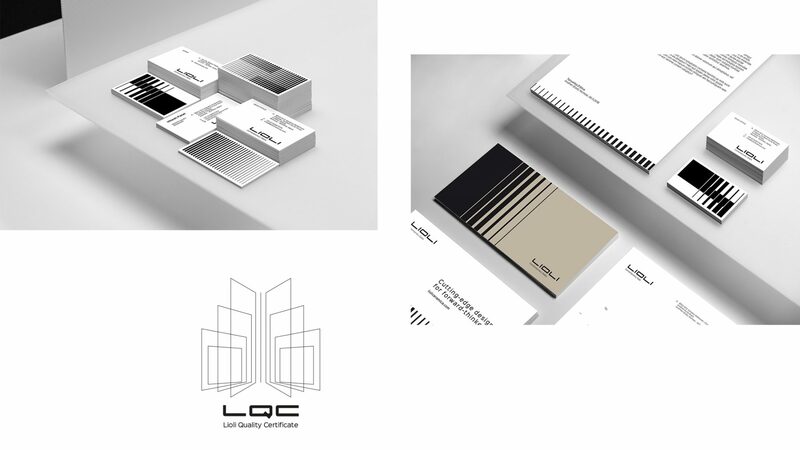 The goal of this process was to built this new identity based on the brand’s attributes: technology, timeless product and aesthetical value.Although the logo wasn’t modified, we do create a tagline for Lioli that combines all those features: “Contemporary slabs”. 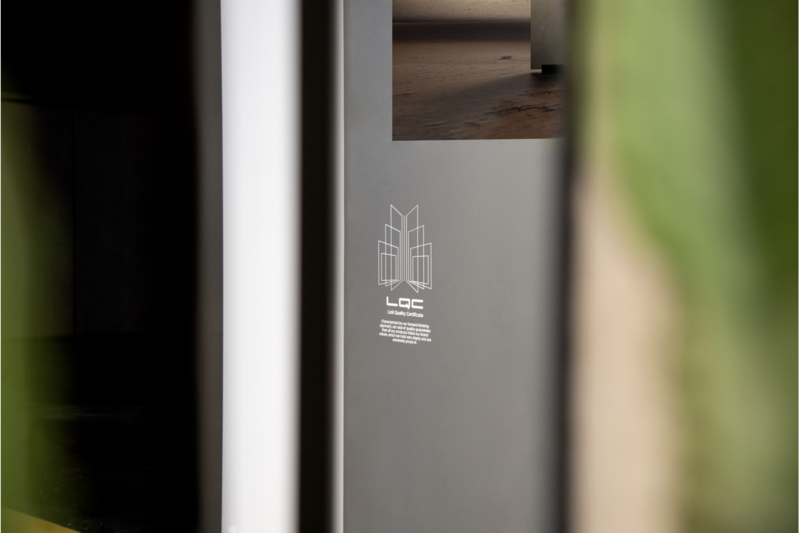 It appeals to the timeless character and its large variety of designs and textures. 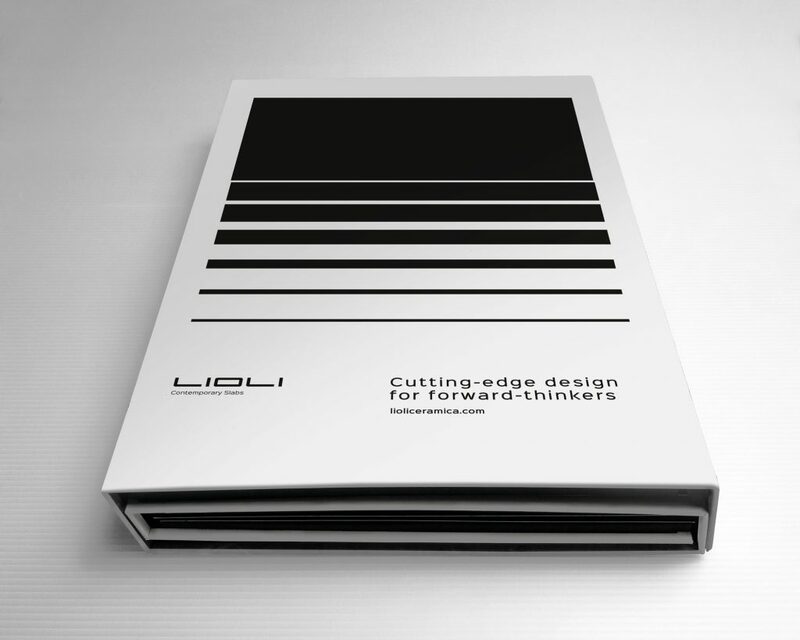 The design process started with this two ideas: Lioli has a large range of products and have an international presence as a company. 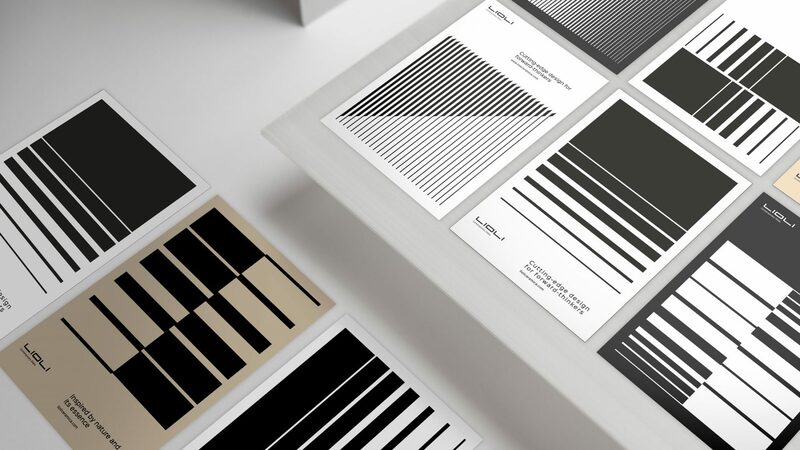 Concepts as growth, greatness and openness came to mind.We get inspired by this openness concept to design Lioli’s graphic environment, and through a geometric shape game we reflected that feeling of increasing movement, widening and depth. 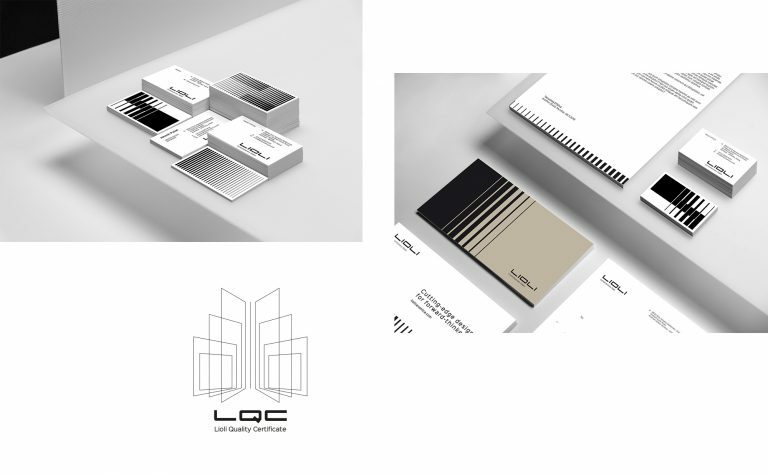 By applying this idea to all brand’s elements, we generated graphic coherence and a renewed and modern identity for Lioli. 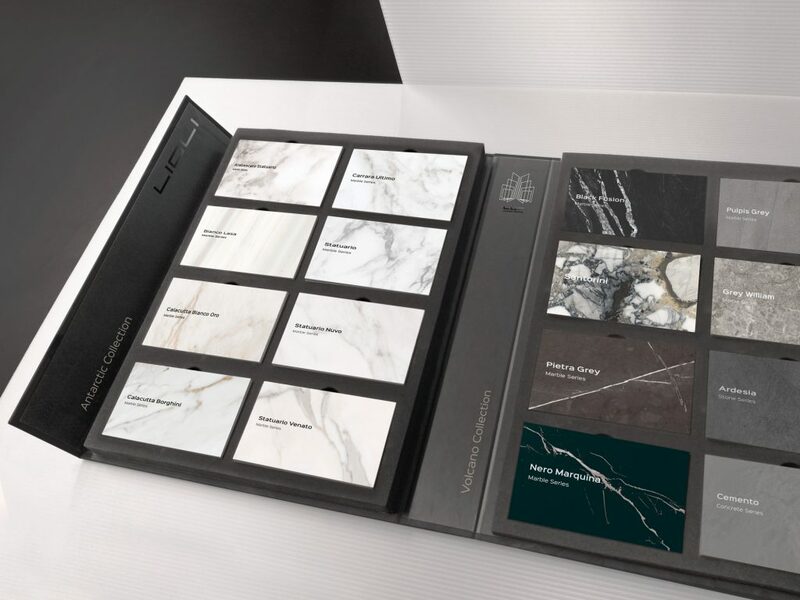 We thought about the best way to communicate Lioli’s products, so we decided to restructure and categorize its large range depending on each tile colour. 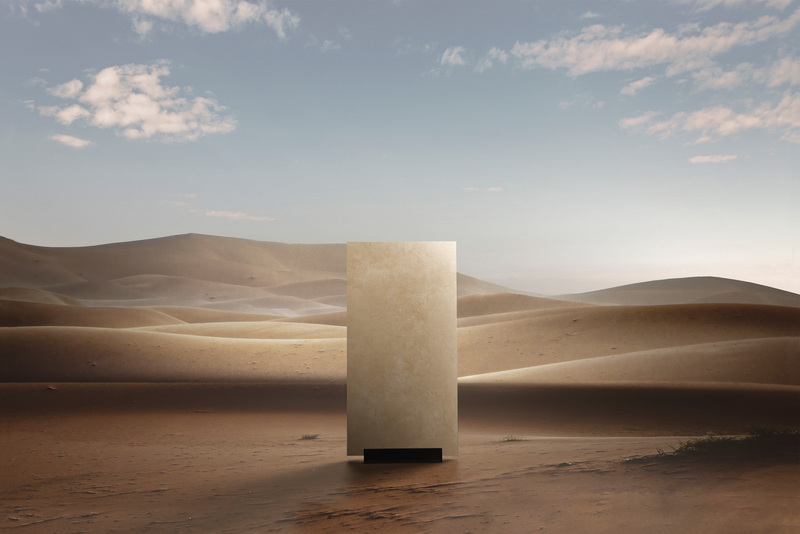 The result were four product typologies that we related with four different natural environments: Desert, including warm tones; Volcano, with the most neutral designs; Antarctic, purest whites and marbles. And Amazonia, including collections inspired by tropical environments. 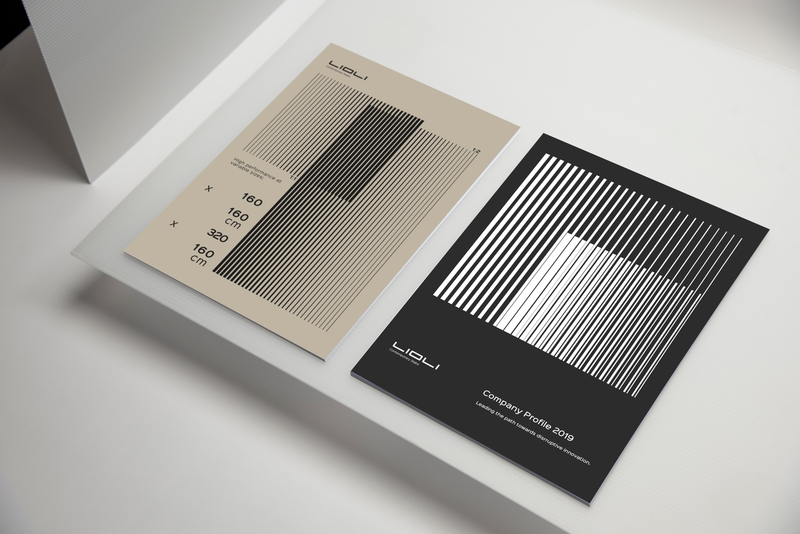 The bold advertising campaign we created for Lioli, had to reflect the openness concept, we’ve been working with. 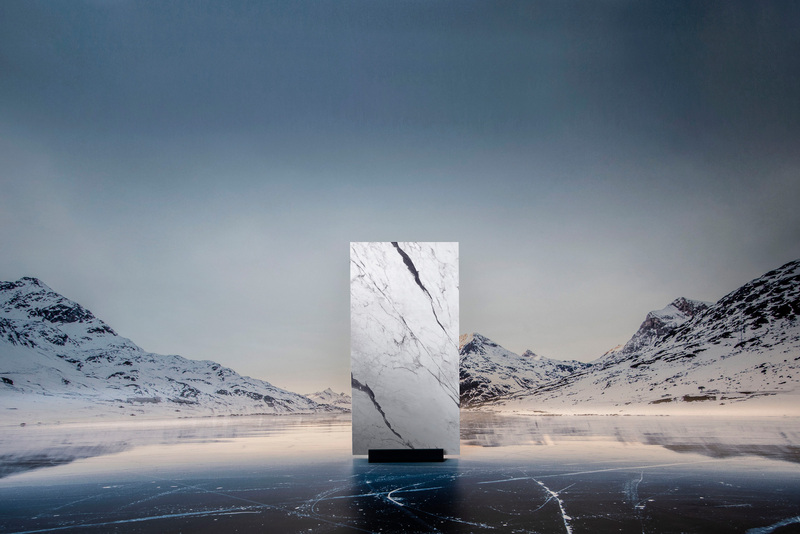 We get inspired by the four natural environments of Lioli’s typologies to set the bases for the campaign: the 4 photographs. 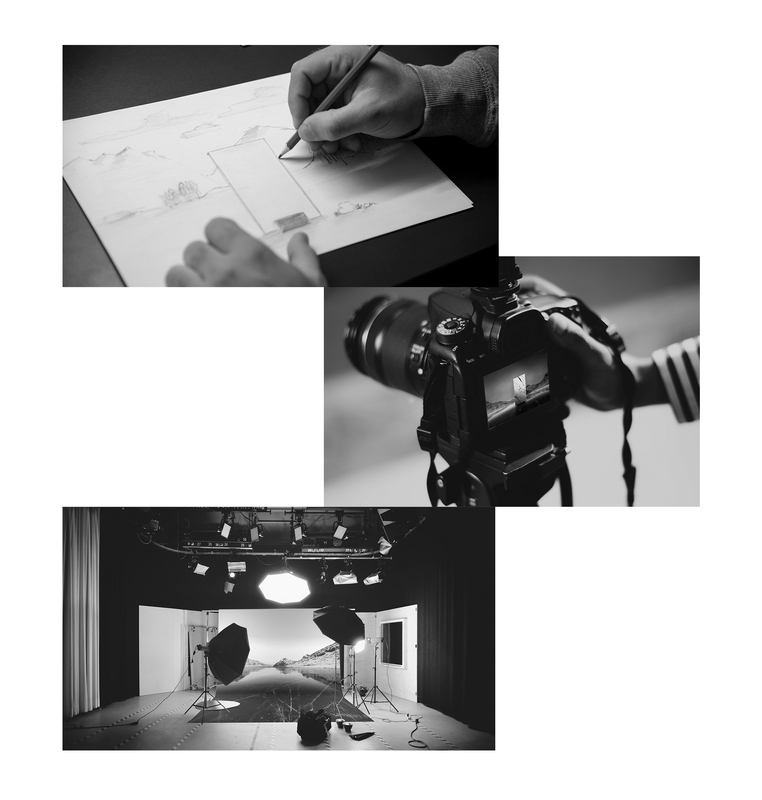 In the photo-shooting process the main element of the photography might be a Lioli big slab. 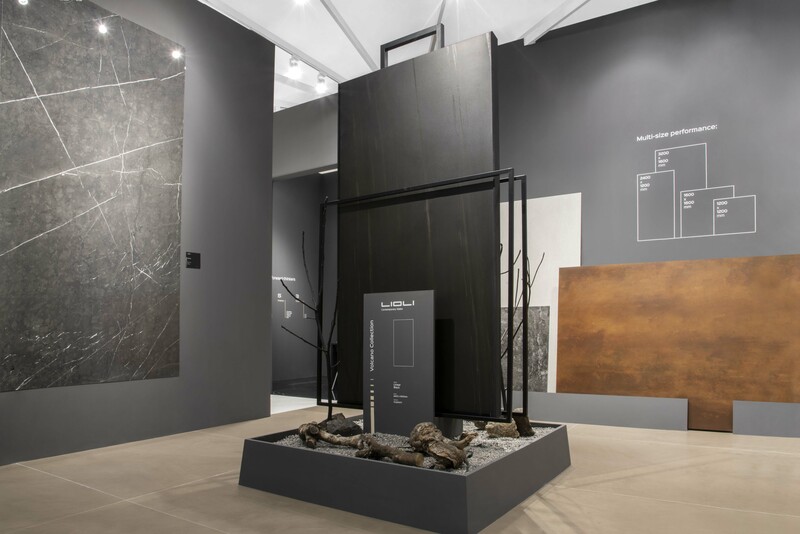 The tile had to be surrounded by an open and imposing natural environment related to that piece typology. 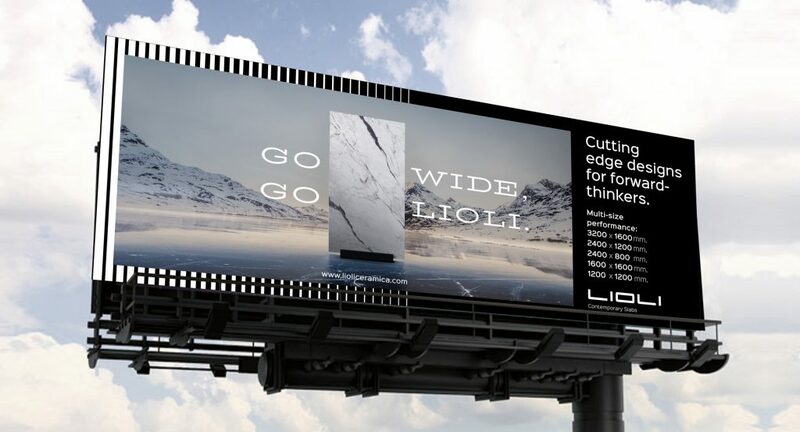 We built also a claim for the campaign: “Go Wide, Go Lioli” and other claims more specifics that worked together with the photographs to create the final arts of the campaign. 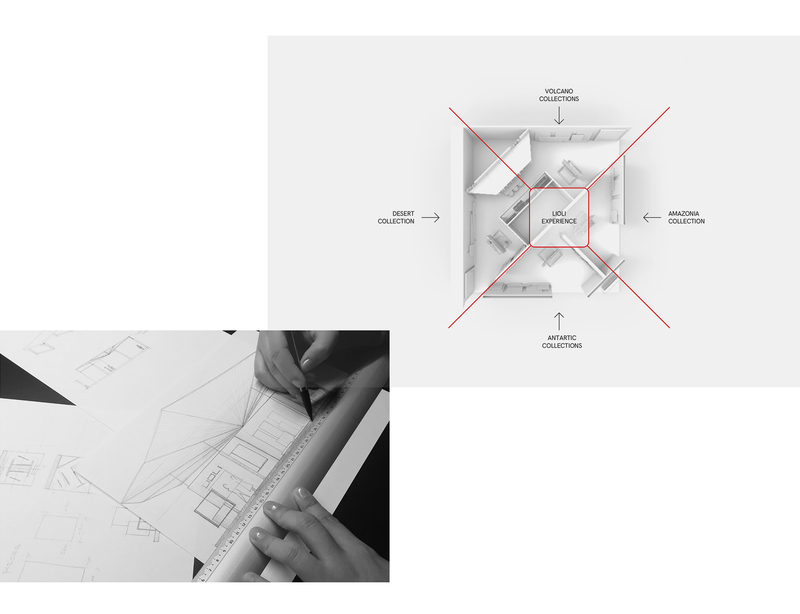 We get inspired by the four natural environments of Lioli’s typologies to set the bases for the campaign: the 4 photographs. 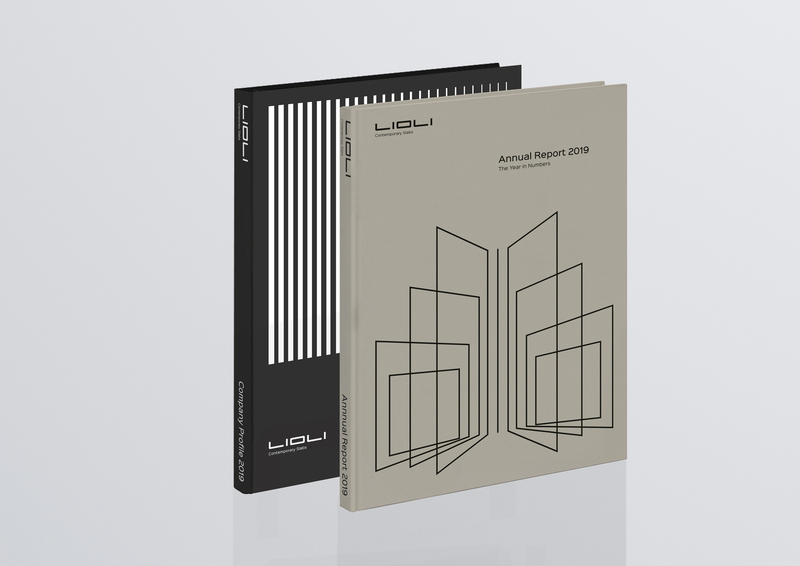 As we’re in charge of Lioli’s promotion management, we also design their new editorial line, starting with their general catalogue created for reflecting modernity and innovation. 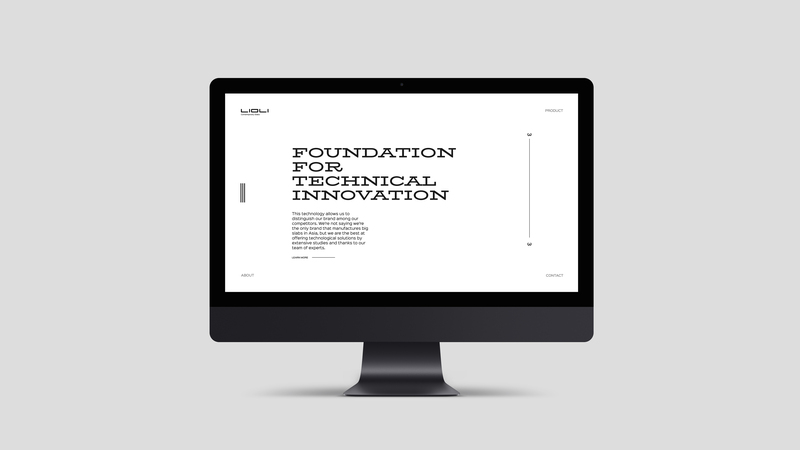 Regarding the front cover we created that feeling of openness and depth through the logotype that take up almost the whole cover. 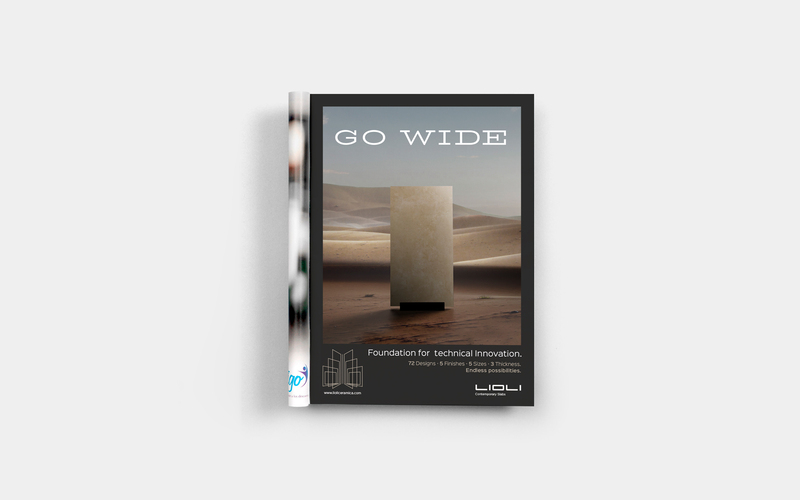 On the other hand, the four campaign’s photographs became the perfect way to separate the four product typologies.With all the elements put together we could generate coherence and reflect a solid identity for Lioli. 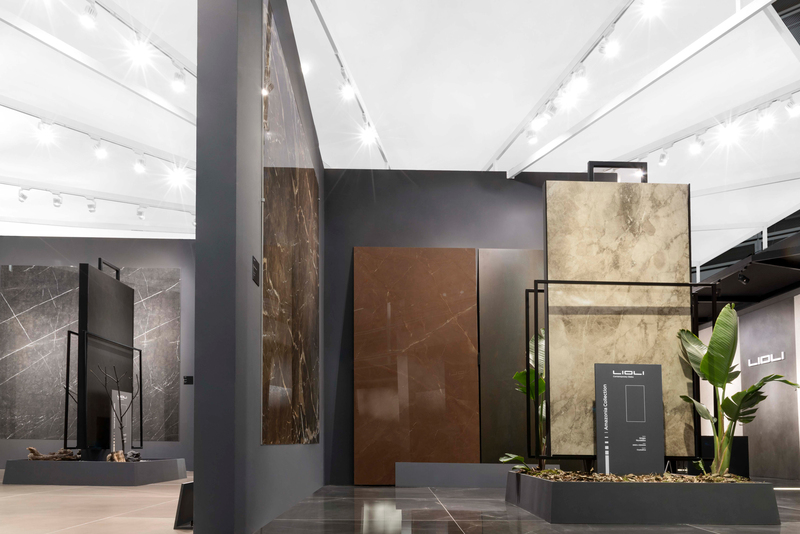 That solid identity was even more remarkable and materialized with their stand for Cevisama 2019. 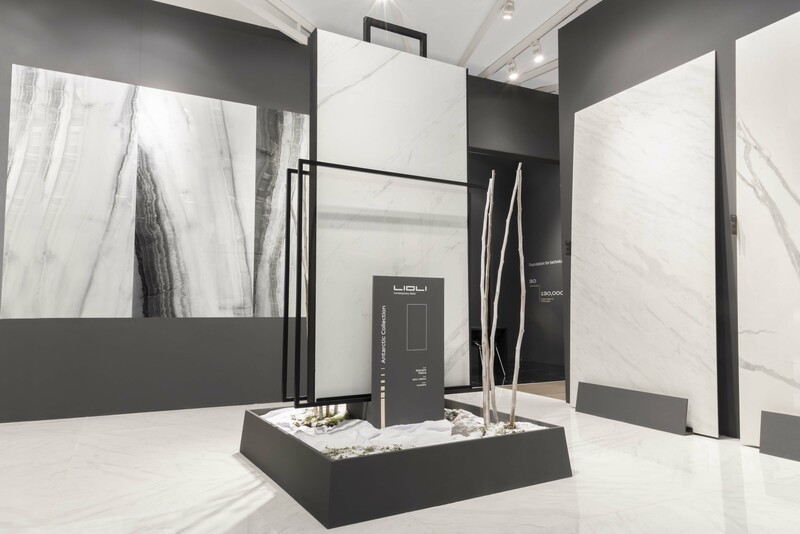 The stand design for Cevisama 2019 was the maximum expression of the design direction work developed until then. 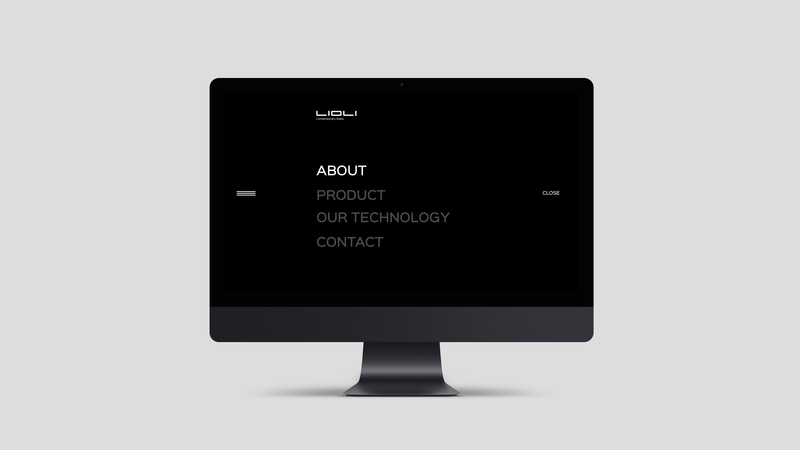 That was the best moment to show to the world Lioli’s new products and its renewed image. 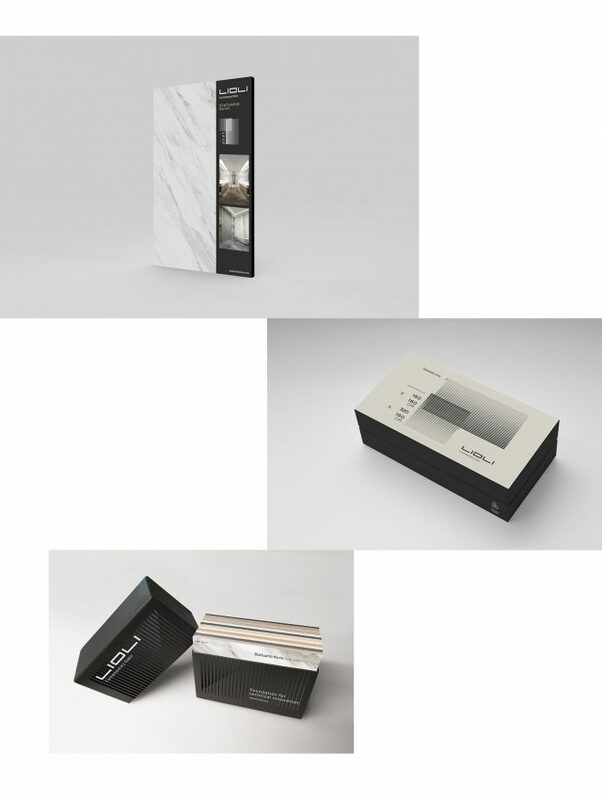 The distribution of its large range of products in four different typologies, stimulated the division of the space into four marked areas. 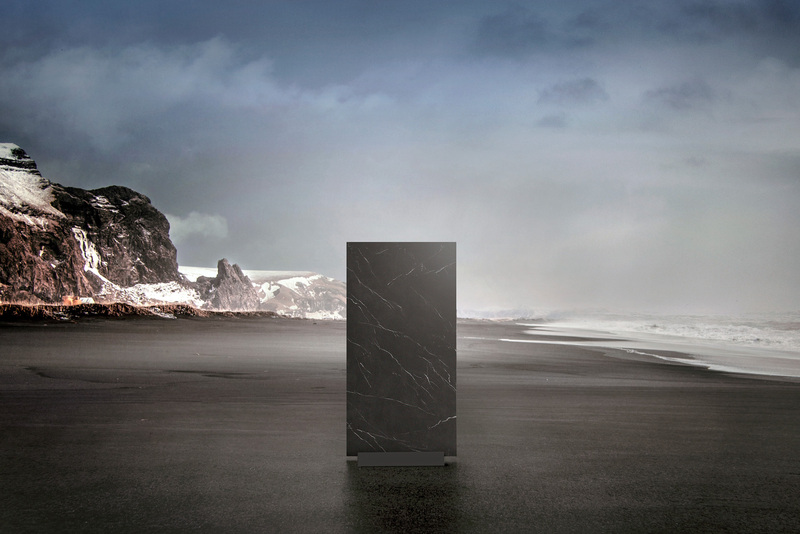 Each area was set in the natural environment that correspond to each product typology: Desert, Amazon, Volcano, Antarctic. 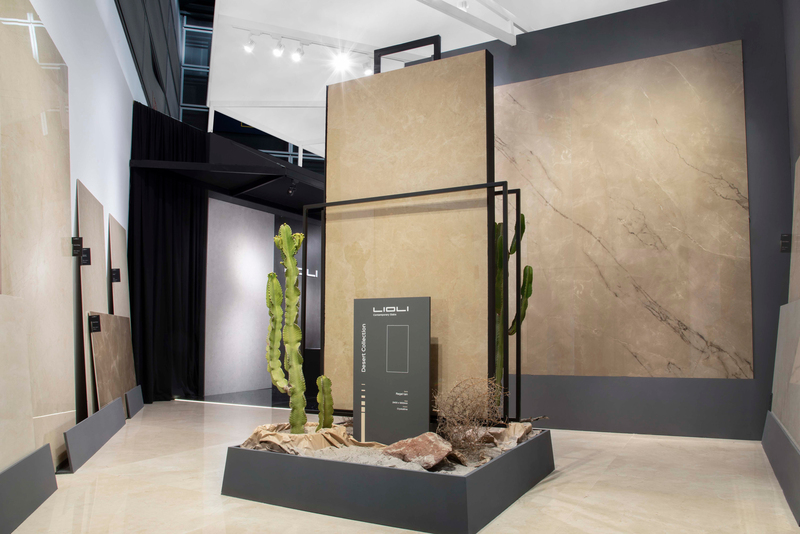 Lioli’s large formats were surrounded by natural inspiration and followed by the graphics specially created for the fair. 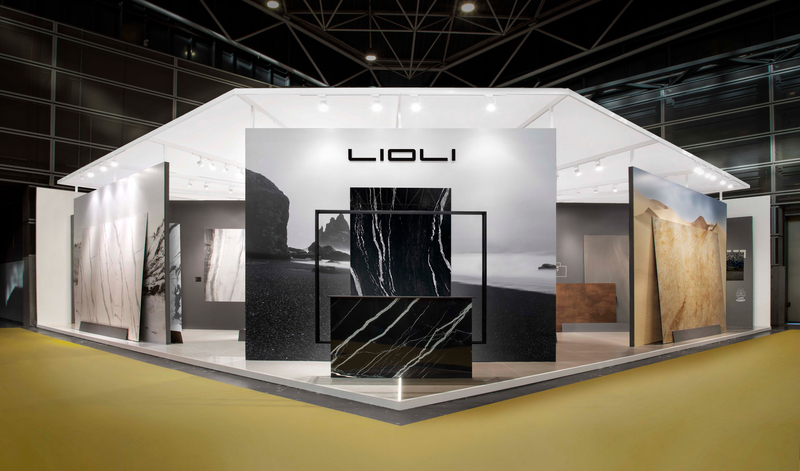 Without any doubt the stand was a material reflection of all the intangible elements that had been created throughout Lioli’s campaign, projecting the attributes and the brand’s features in a clear and powerful way. 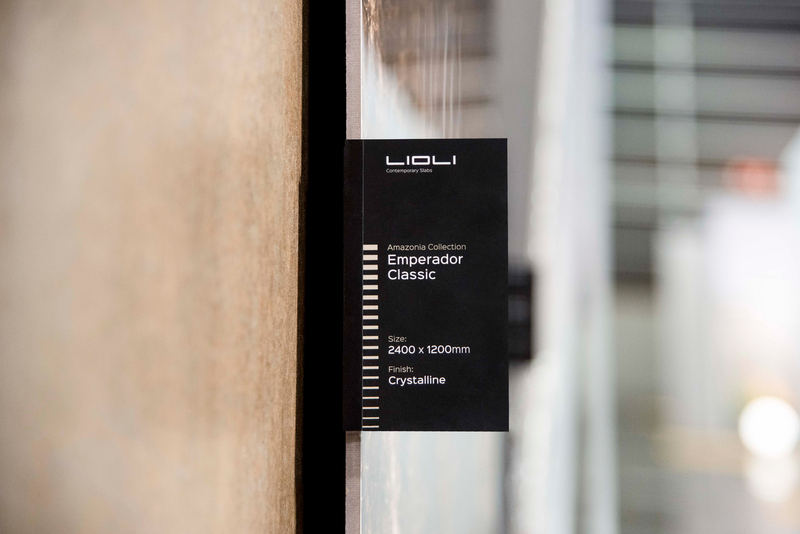 The stand was a material reflection of all the intangible elements that had been created throughout Lioli’s campaign, projecting the attributes and the brand’s features in a clear and powerful way.